General objective of this report is to analysis Financing SME in Bangladesh, here focus on Mutual Trust Bank. As MTBL management is emphasizing its focus on SME credit this study aims to analysis the SME credit operation in MTBL. More specifically, this study wants to explore the problems to finance SME credit in context of Mutual Trust Bank Limited in Bangladesh. Banking concept has been evolved since the rapid development of Information Technology. The primary activities of any bank are to collect deposit and invest in different areas to earn profit. Mutual Trust Bank also follows the policies. Nowadays almost all over the world, SME (small and medium enterprise) concept is a well-orchestrated name, which has indeed added a new feather to the gamete of banking glossary. SME is the important sector to invest deposit in short-term basis. From the internal circular letter the allocation of MTBL for the SME credit on 2007 was 15 million. The SME worldwide are recognized as engines of economic growth. The commonly perceived merits often emphasized for their promotion especially in the developing countries like Bangladesh include their relatively high labor intensity, dependence on indigenous skills and technology, contributions to entrepreneurship development and innovativeness and growth of industrial linkages. Bangladesh Bureau of Statistics (BBS) or many other agencies and NGO survey of results (2006) drew the conclusion that there were approximately 6 million micro, small and medium enterprises (MSMEs), which a total of 31 million people and included enterprises with up to 100 workers employing, equivalent to 40 per cent of the total population of the country of age 15 years and above. The most recent private sector survey estimates the contribution of the micro, small, and medium enterprises (MSMEs) is to be between 20-25 per cent of GDP (Daniels, 2003). Both urban and rural areas income in is provided by the MSMEs, which are about three quarters or more of the household. In our country there are almost 30 million people unemployed. And SMEs have numerous preoperative to improve our total GDP. Another vital finding of the survey under discussion was that SMEs contributed nearly 25 per cent of the GDP (BDT 2,996 billion) in 2003. The commercial banks should provide SME loan to those people without harassment. In Bangladesh the SMEs account for about 45% of manufacturing value addition. They account for about 80%of industrial employment, about 90% of total industrial units and about 25% of total labor force. Their total contribution to export earnings varies from 75- 80% based on the Economic Census 2001-2003. The total number of SMEs is estimated at 79754 establishments, of which 93.6% are small and 6.4% are medium. The 2003 Private Sector Survey estimated about 6 million micro, small, and medium enterprises define as enterprises, with fewer than 100 employees who contributed around 20-25% of GDP. The contribution of SME to the economy is well known. According to BSCIC (Bangladesh Small and Cottage Industries Corporation), (1994), in1989/90, 89 per cent of total industrial establishment is small and cottage industries. From SMEs about 87 per cent of total employment and more than 50 per cent of total manufacturing value added. Despite its extensive coverage in manufacturing and service related activities, productivity and supply of SMEs is very poor. In the various categories of SME are reported to contribute between 80 to 85 per cent of industrial employment and 23 per cent of total civilian employment (SEDF, 2003). While the SMEs are characteristically highly diverse and heterogeneous, their traditional dominance is in a few industrial sub-sectors such as food, textiles and light engineering whole seller and in small garments production. SMEs are based on relatively small investment; their survival depends on readily available markets with an easy access. As MTBL management is emphasizing its focus on SME credit this study aims to analysis the SME credit operation in MTBL. More specifically, this study wants to explore the problems to finance SME credit in context of Mutual Trust Bank Limited in Bangladesh. Mutual Trust Bank limited was incorporated on September 29, 1999 under companies act 1994as a public company limited by shares for carrying out all kinds of banking activities with Authorized Capital of BDT 1,000,000,000 dividend into 10,000,000 ordinary shares of BDT.100 each. The bank was constituted 12 first Board of Directors. Mutual Trust Bank Limited provides the facilities which are online Banking, SME credit ATM Support, Corporate credit, Consumer credit, foreign trade, corresponding banking. The newly developed technology based services also provides Fund Transfer through Internet, Debit Card and deposit facility. They will recently introduce Credit card facility. Though they are newly entered in banking sector in Bangladesh, they make available all kinds of services, which other bank offer. 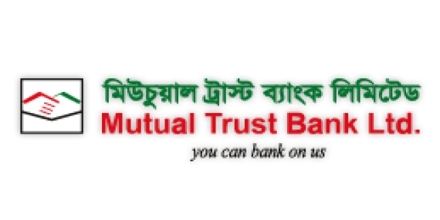 Mutual Trust bank Ltd is a third generation Bank. Like all business enterprise the main objective of Mutual Trust bank is to enhance shareholders value by maximizing profit and benefiting the society by its activity. To achieve the objective the bank provides innovative products for the customers with qualified distribution and exceptional customer relation program. To enhance the quality of the products and services well trained individual are recruited who are given on the job and off the job training to better performance, which ultimately helps in fulfilling the objective. Mutual Trust bank Ltd aspire to be the most admired financial institution in the country, recognized as a dynamic, innovative and client focused company that offers an array products and services in the search for excellence and to create an impressive economic value. Vision of Mutual; Trust Bank Ltd is “To be the bank of 1st choice by creating exception value for our clients, investors and employees”. This bank is one of the most disciplined Banks in distinctive corporate culture. Here they believe in share meaning, shared understanding, shared sense making. The people of the bank can see and understand events, activities, objects and situation in a distinctive way. They mould their manners and etiquette, character individually to suit the purpose of the bank and the needs of the customers, who are paramount importance to us. Consumer banking: Mutual Trust Bank Ltd aims to satisfy all clients, regardless of how big or small they maw be. Individuals are counseled on the best type of accounts suitable to them such as Current, Saving, Short Term Deposits, Fixed Deposits, Consumer asset and liability products, etc. There are basically two major products namely letter of Credit and Letter of Guarantee. Under Funded Credit, The bank offers the following services to meet the requirement of clients as well as making a profit. The loan and advance products. The loan is to be rapid by equal monthly installments including interest within 3, 4, 5 years. Repayment will start from the 2nd month of available of the loan. The client will enjoy one-month grace period. Loan installments will have to be paid within 10th days of every following month. If any three installments are not paid, the borrower will be treated as a defaulter and a penalty interest at 1% per month will be charged on the defaulted amount (Minimum BDT.100). Above the list we can see that the demand of small and medium business loan is high in rural area. In our country 85% is rural area, if the bank can provide proper supply of SME loan to rural people according to demand, total GDP will increase. Another problem faced by clients getting loan, which is the bank’s required 3 years experience in current business which is a little tough for them. It should be at least 1 or 2 years experience. Some small enterprise cannot expand their business only for shortage of capital and it is hard to run the business. The experience should be required as business types. BRAC bank requires different business experience on different business types. The processing for loan application forms and for investment financing from banks is lengthy, annoying, and redundant. From the survey customers said that the processing of loan disbursement is lengthy. MTBL takes 20 to 25 days for CIB (credit information bureau) to be returned back to the branches. After getting CIB report it takes again 20 to 25 days to sanction and customers want fast service delivery. Getting CIB report takes 20 o 25 days because Bangladesh Bank provides the CIB report. Approval of CIB report generally it takes at least 15 to 20 days for almost all banks to loan disbursement. SME entrepreneur of Bangladesh lack business skills and knowledge about how to start and run business. MTBL can provide suggestions to their customer to run on the business and keep up date data about their cash flow. It helps to predict up coming loan installment payments from customers. If a business seeks to grow and succeed, these professional acquaintances are needed to perform certain task that required specialist expertise. At this stage MTBL can play the role of accountants, lawyers, consultants in improving the effectiveness of planning in small and medium business. SME credit has been a fabulous modernism in the private commercial banking sector in recent years. The growth of SME credit, especially, in a developing country’s economy, is feature to the rapid advances in information technology, the developing macroeconomic environment, financial market reform, and several micro-level demand and supply side factors. When did you take SME loan from MTBL? What was the amount of SME loan? Did you provide any collateral security for your loan? If yes then what was the collateral? What were the problems faced by you for getting SME loan? How long did the bank take to approve the loan after applying for it? What do you think about the interest rate of this bank comparing to some other commercial banks? Among the three installment options (3, 4, or 5 years) which one you prefer most and why? Are you satisfied with all the SME facilities of this bank? What are the problems you have face while approving for a loan? Do you provide the loan with suggestions to your customers so that they can run their business profitably? How do you feel about the demand of SME loan in this market? Can your SME loan’s facilities compete with the other banks’ one? Can your customers pay installments and interest rate according to the bank schedule? Do you maintain updated information regard your borrowers’ financial position? What is this bank’s future plan about expanding the SME baking section?